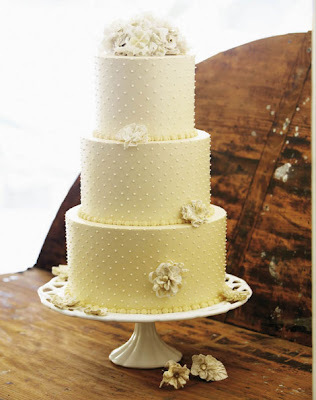 First spotted on Classic Bride, I am obsessed with this cake. Charleston Weddings Magazine published this great article about how to infuse your confection with a bit of homemade (but incredibly stylish) charm. If you're unskilled with a stand mixer and pastry bag, ask a gifted friend or professional baker to whip up a simple cake-I think the Swiss dots are heavenly all on their own. What a gorgeous little project for a rainy day afternoon.